Reform Jewish wedding, Conservative Jewish wedding or Orthodox Jewish wedding... they all have one thing in common -- the personalized yarmulke. It's impossible to go to a Jewish wedding and not receive a keepsake kippah with the bride and groom's names imprinted on the inside along with the wedding date. Well, these personalized kippot have been fairly standard for a very long time. Some Jewish wedding couples choose to include the Hebrew date of the wedding along with the secular date and some couples have their names printed in Hebrew as well. For the first time I saw a couple include a hashtag on the inside of their wedding kippahs. Hashtags are used on social media sites such as Twitter and Facebook. Hashtags are a word or phrase preceded by a hash or pound sign (#) that are used to identify messages on a specific topic making it easy to search. Oftentimes at conventions, conferences, events and sports games a hashtag is recommended so users can follow the related posts. While I've seen wedding couples create a dedicated hashtag for their wedding, I've yet to see it publicized on the inside of the yarmulke. 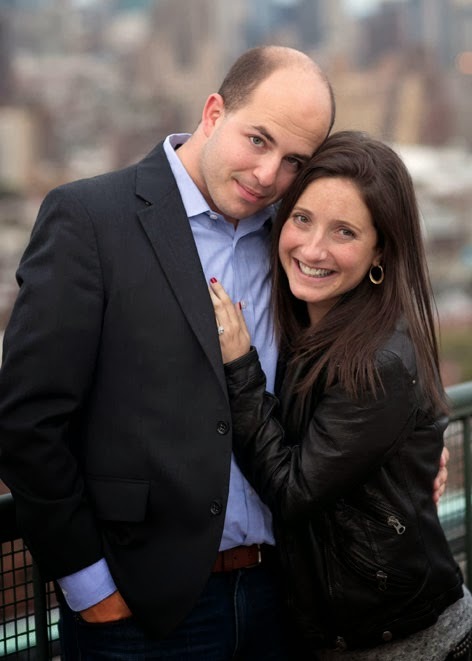 On Saturday evening, the former New York Times media reporter Brian Stelter and his bride Jamie Shupak were married at the Sheraton Society Hill in Philadelphia. According to the NY Times, Jamie Stelter is the morning traffic anchor in New York for NY1. Brian Stelter is now the senior news media correspondent for CNN and also the host of the Sunday morning CNN program "Reliable Sources". He also wrote the book "Top of the Morning" about the cutthroat world of morning news programs. 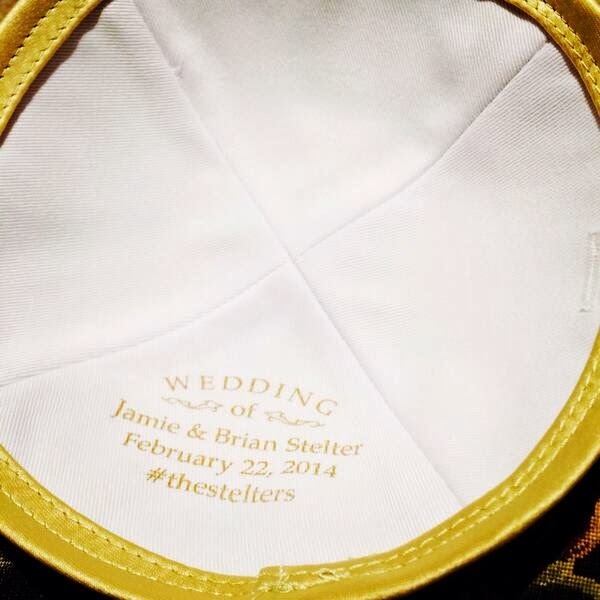 I learned about the Stelters' hashtag kippah from Katie Rosman, the Wall Street Journal technology reporter who also authored the book "If You Knew Suzy". Love the use of the hashtag on the #wedding kippot.